UPMOLD is an integrated manufacturer with design, production and sales. Our main products are plastic injection mold & tooling design services, injection molds, plastic injection molding, plastic parts. Professional, quality, prompt and Management is our pursuit of philosophy. Good credit and quality first are our commitment to all customers; we are not only a cooperator but also your reliable and long-term partner. 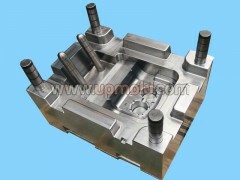 Up Mold is a manufacturer that specializes in plastic injection mold, components machining and injection moulding parts, We service to the customers from North America, Europe, Australia and Japan with the markets of Automotive, Household Appliance, Consumer Goods, Electronic, Medical and Telecommunication. UPMOLD is capable of making various molds including over mold, double injection molds, gas assisted mold, hot runner mold, multi-cavity mold, insert mold, unscrewing mold, MUD etc, it greatly enhances our speciality in plastic injection mold making.